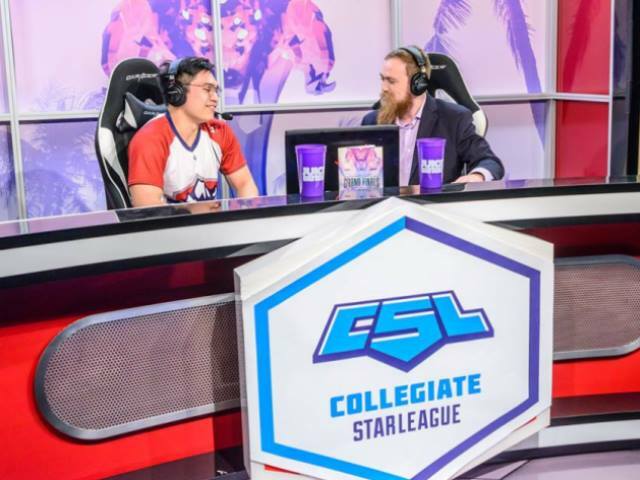 The Collegiate StarLeague is heading back to school with bigger plans than ever, announcing a large-scale expansion that introduces Battle Royale to its lineup of collegiate leagues and competitions for the 2018-19 season in addition to its largest prize purse ever. This next year will see university and college teams battle for over $175,000 in scholarships, with this year’s lineup set to include Fortnite, Dota 2, League of Legends, StarCraft II, CounterStrike: Global Offensive, Madden NFL 19, Super Smash Bros Ultimate, Super Smash Bros. Melee and Rocket League. The CSL’s largest ever scholarship prize pool will be led by the addition of Fortnite, which will offer $42,000 to players, with Dota 2 and CS:GO offering $31,000, Super Smash Bros. Melee and Super Smash Bros. Ultimate each dangling $16,600, Rocket League with $13,600, League of Legends: at $11,500 and Madden NFL 19 at $5,000 for both PS4 and Xbox One. Last year saw the season wrap up with CSL’s Grand Finals being hosted live at the ULT Studios in Huntington Beach with over 2,000,000 minutes watched by collegiate esports fans. Registration is open and will run through Oct. 6 at www.cstarleague.com.